iPhone 4 Logic board Motherboard AT&T GSM 16GB - Please Read Note Before order. pls do contact us for more information.Thank you. This is for Apple iPhone 4 16GB Logic Board or Motherboard only ( Factory Unlocked & Untethered Jailbroken ) GSM. It is 100% working or fully functionality . What you see is what you get as pictured ! An item that has been used previously. The item may have some signs of cosmetic wear, but is fully operational and functions as intended. This item may be a floor model or store return that has been used. See the sellers listing for full details and description of any imperfections. 3G Data Capable, Bluetooth Enabled, Global Ready, GPS, Internet Browser, Music Player, QWERTY Keyboard, Touch Screen, Wi-Fi Capable, Speakerphone, TTY Compatible100% Perfect fit. 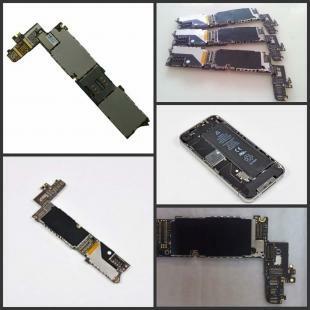 Find, Read Reviews & Buy cheap For iPhone 4 Logic board Motherboard AT&T GSM 16GB products at wholesale price from leading chinese supplier, enjoy online For iPhone 4 Logic board Motherboard AT&T GSM 16GB for sale and become wholesaler now!